Years in Pizza Biz: "Born in a flour bag"
Favorite Hobbies Outside of Pizza: "I'm open seven days a week, so my customers are my entertainment." The Pizza Insider: Why did you go into the pizza business? 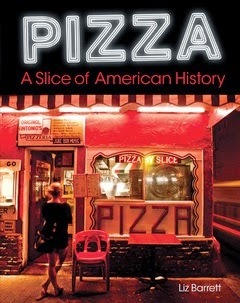 Al Santillo: I was born in the pizzeria. My dad used to give the neighborhood kids rides on the dough mixer, which I still use today. I'm the third generation to own Santillo's. My father got sick in his late 50s; I was about 23. He asked me if I wanted the business; if not, he was going to close it down. I knew how good the pizza was and I didn't want it to go extinct. I like the feeling of carrying on the family business. Al Santillo: I like when I get visits from friendly people who have a good story or a joke for me, maybe even share a glass of wine with me. I like the extroverted types! I also like to see those who haven't been here in 40 or 50 years and they come back to visit. I even have a couple of customers who are over 100 years old and still come in for pizza! The Pizza Insider: After a lifetime working in pizza, they can't all be good days. Al Santillo: The bad days are when the help doesn't show up, the heat or the oven breaks, someone gets hurt, or anything else happens that forces us to have to shut down temporarily. It's sad that over the years I've had to watch so many people around me go out of business. Forty years ago I thought brick ovens would take over America, but little by little I became the only one in the area using one anymore. It's hard work and takes special skills to work, which can be hard to teach. 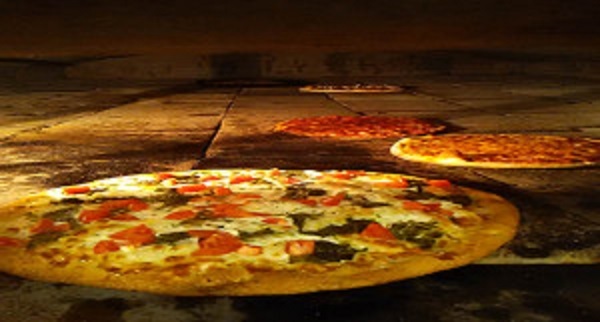 The Pizza Insider: Are you concerned about an aging customer base? Al Santillo: When I took over the business from my father, I had WWII era customers, who are now getting older. I'm always looking for new customers to add to the existing ones. The Internet was my salvation when it came to spreading the word about the pizzeria. 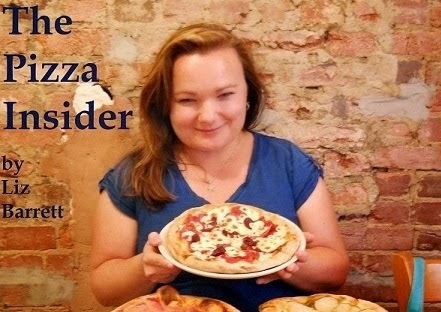 I use Facebook a lot to post pizza photos and I'm working with the local tourism board in Elizabeth. I'm doing great with out of towners. Al Santillo: It's true what they say about location. I got about the worst location you could have--no parking, no sit-down service, and I don't serve liquor. But I'm happy with the way things are; I'm having fun. My whole life is pizza. 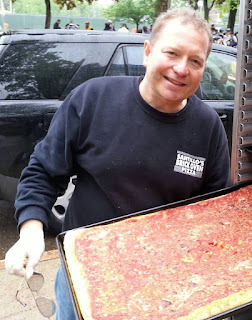 The Pizza Insider: Is there someone ready to take over the oven if you ever decide to retire? Thanks for the great interview, Liz. I love this guy! He makes you proud to be in the business. I'm going there someday soon.